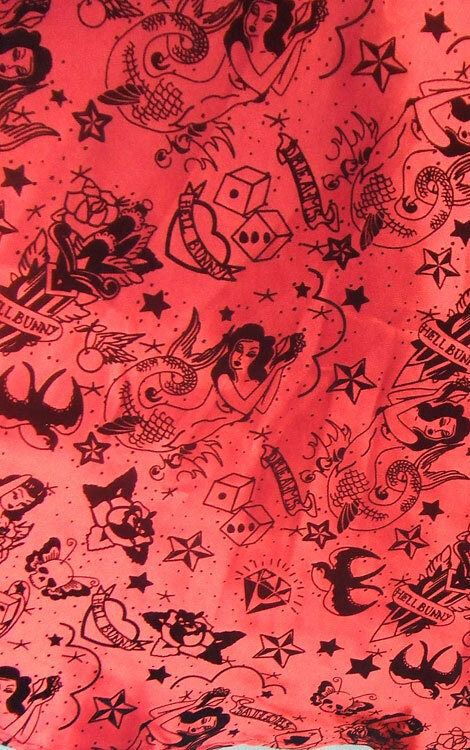 Hell Bunny Red Tattoo Flocked Dress, has all over black flocked tattoo print adorned with tattoo mermaids, skull butterfly's, swallows, burlesque babes, stars and dice. 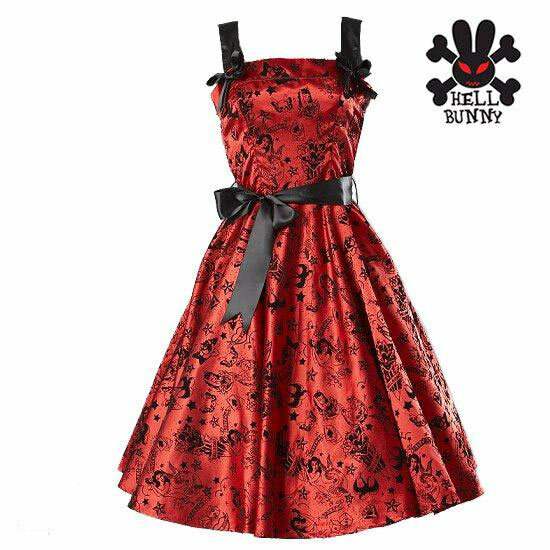 Features a super flarey full skirt and a satin belt to cinch in the waist and give you an amazing shape. 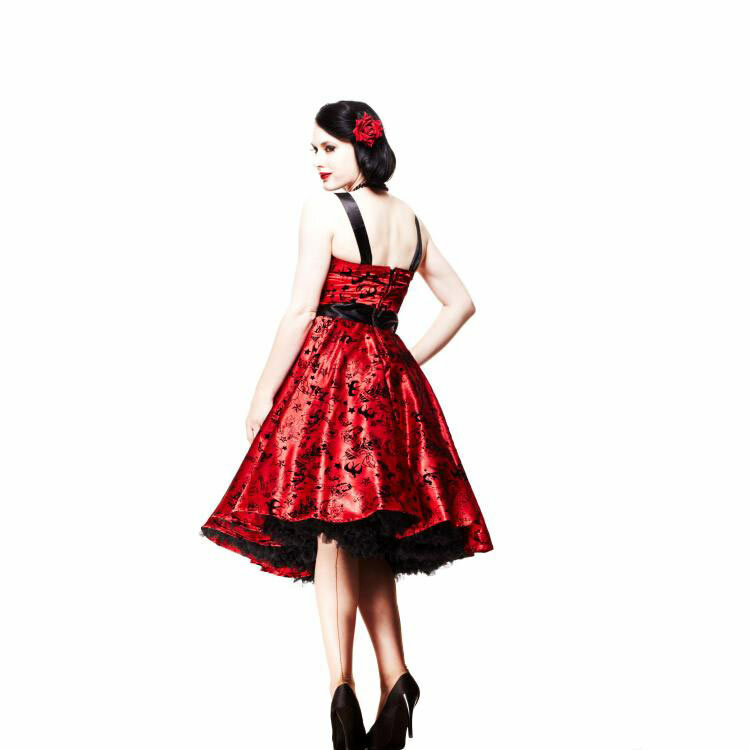 Bustier is adorned with two button adjustable satin shoulder straps with bow detail for the perfect fit. 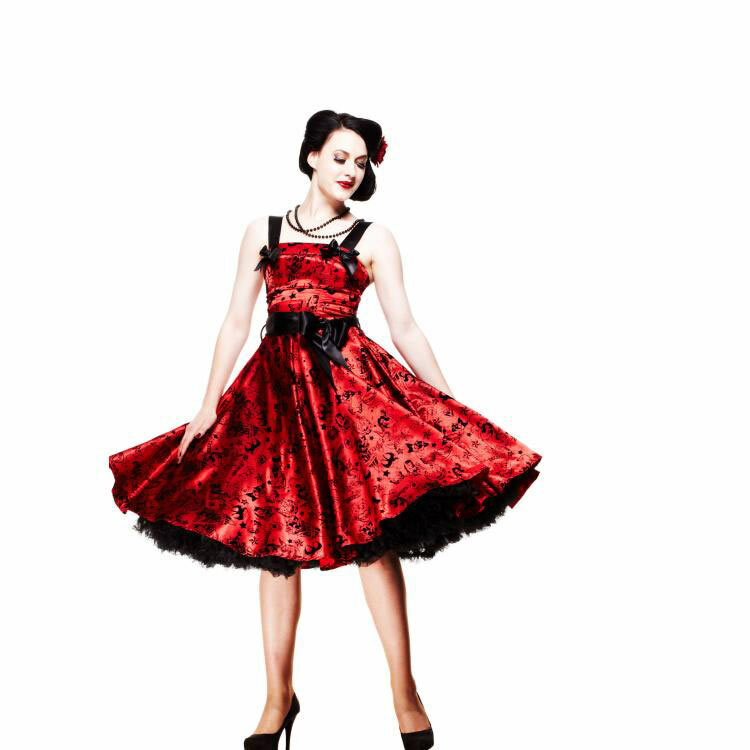 Please note: Petticoat sold seperately. I did not order this for myself, but both of my bridesmaids are wearing this for my wedding. These are gorgeous dresses. And, even better, it fit both bridesmaids perfectly! They are two very different sizes, and neither of them had a problem with fit. Definitely a good investment! It's really tight, so it holds my girls in without a bra (weird for a K cup gal), but it's still quite comfy! It was perfect! The fit was amazing, I couldn't have asked for anything more.